Born and bred in Singapore. Started living in Japan at the age of 20. During my 4 years of university in Japan, I traveled to the 47 prefectures and saw the less seen beautiful side of Japan. Having seen the various facets of Japan, its seasonal charms, the exquisite allure of its traditional culture that epitomizes the Japanese spirit, and the uniquely Japaneseness of its people. Japan has not had as many tourists in its country as it has aimed for, and I see this as a potential. I hope to bring out this less-known side of Japan to mesmerize the rest of the world as I have been, by this mysteriously charming country. 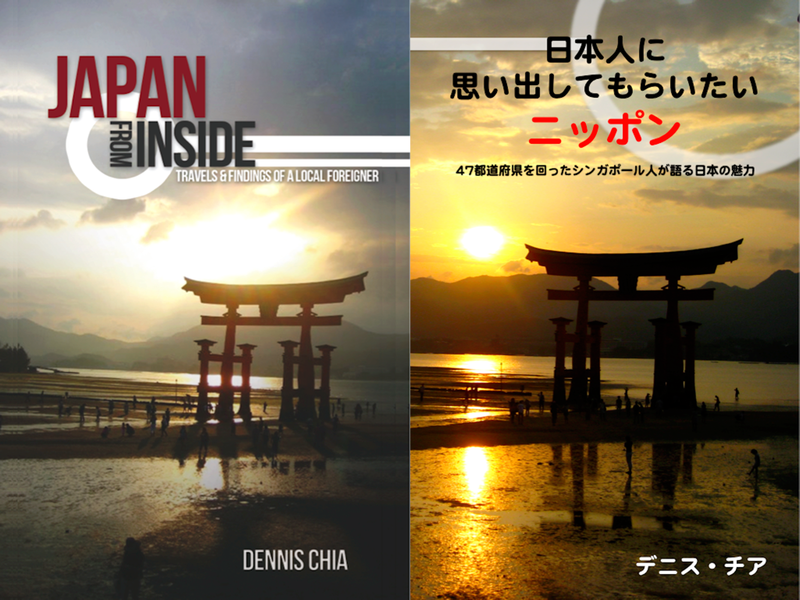 I self-published a book recently, written in both English and Japanese, about my experiences in Japan and the less-seen side of Japan I’ve seen through my various experiences traveling around, studying and working in Japan. The title is called “Japan From Inside: Travels and Findings of a Local Foreigner”. Please feel free to purchase it via the link below. Organizer of Study Tour of Minami Sanriku after Great East Japan Earthquake with participants from 11 countries, and funds raised from crowdfunding. Anyway, it’s very understandable that you’ve forgotten me, perhaps, but I’m going to introduce myself, I am Leonardo, and I knew you from the YUI-lover forum, in which I go by the username ‘lonelyshinobi’. Well my purpose to write here is actually to ask you about your experience in your studies in Japan, from Singapore. I just graduated from secondary school in Singapore and I’m studying in Junior College, and am planning to study in Japan for university. Is it okay if I ask you questions? Also, please let me know if you want to have this chat somewhere else– I can give you my msn or my email address. I don’t want to fill your blog comments with irrelevant matter, personally. hehe. Hi Leonardo! I do remember your username “lonelyshinobi” from YUI-lover forum. First of all, thanks for reading my blog and leaving a comment! There are actually many people in the world who are much more linguistically talented than I am. If you search through youtube, you will be astounded by how these people master languages like drinking water. Don’t worry too much about the stress and workload in JC. Just do your part and try your best. Everything will turn out fine. Lastly, don’t worry about your English too! Like I wrote in this self-introduction, I used to be really bad at English, in secondary school and in JC. I believe languages are for communication, not for comparison nor for tests, so the most important thing is to be understood, and you have done so perfectly! Hi Dennis, I’m Jeffrey here. I have always wanted to work in Japan but have no idea about how to go on about doing it. I wonder if you have any advice for someone like me. Like you, I am a Singaporean living here in Japan and have just gotten my Japanese PR after being here for a good 10 years. Do you have a facebook account, would like to ask you some stuffs.